[아시아엔=라훌 아이자즈 기자·?번역 김아람 기자] 1960년대를 풍미했던 영국 밴드 비틀즈가 한때 인도 명상에 푹 빠져있었다는 사실, 알고 계셨는지? 비틀즈는 지난 1968년 인도 북부의 힌두교 성지 리시케시로 떠났다. 초월명상(TM) 지도자로 유명한 마하리시 마헤시 요기를 만나 가르침을 얻기 위해서였다. 그는 명상으로 유명세를 떨쳤던 구루(힌두교, 불교, 시크교 및 기타 종교에서 일컫는 스승)로, 현재 전세계에 1천2백개의 초월명상 센터가 있으며 그동안 초월명상을 배운 사람만 300만명이 넘는다. 리시케시의 아쉬람(힌두교도들이 수행하며 거주하는 곳)에서 7주간 생활했던 비틀즈 멤버들이 갠지스강가에서 써내려간 곡만 무려 48개다. 이 중 많은 곡이 ‘화이트 앨범’(White Album)에 수록돼 있다. ?이후 몇 십 년간 수많은 비틀즈 팬들과 관광객을 끌어 모았던 이곳은 안타깝게도 노후한 환경 탓에 점차 그 발길이 끊어지는 듯 했다. 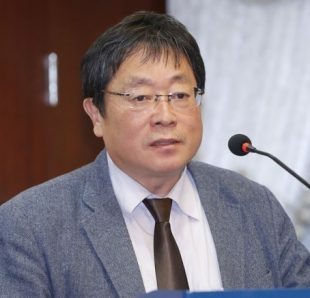 그러나 지난 8일, 이 아쉬람이 ‘마헤시 요기 아쉬람’이라는 이름으로 재개장해 눈길을 끌고 있다. 공교롭게도 이날은 1980년 비틀즈 멤버 존 레논이 뉴욕에서 피살된?그날과 같다. 비틀즈 팬들이 ‘잊을 수 없는 날’에 비틀즈를 추억할 수 있는 공간으로 새롭게 탄생한 것이다. 지난 2012년 이곳을 방문한 캐나다 출신 팬 트리니티 다스가 벽면에 비틀즈 초상화와 함께 여러 팝아트와 달라이라마를 그려넣어 더욱 유명해진 ‘비틀즈 아쉬람’은 지금도 여전히 비틀즈를 그리워하는 팬들과 명상가들이 즐겨 찾는 명소다. 현지주민 2달러, 외국인 10달러를 입장료로 받는 이곳은 재개장 이후 더욱 많은 이들이 방문할 것으로 기대된다. Arguably the greatest band in the history, The Beatles, spent their time in India in the 1960s. Their fans have been intrigued and interested in the details of their stay in an ‘ashram’ (a spiritual hermitage or a monastery where Hindu cultural activities such as yoga, music or religious studies are performed). 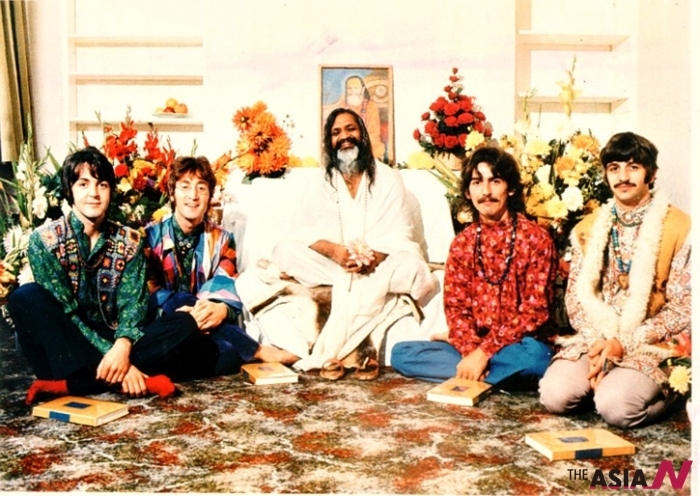 Luckily, for the Beatles’ fans, the ashram named ‘Mahesh Yogi ashram’ was opened to public on December 8. Located in India’s northern city of Rishikesh, the spiritual complex was home to Maharishi Mahesh Yogi, who passed on his teachings of ‘Transcendental Meditation’. 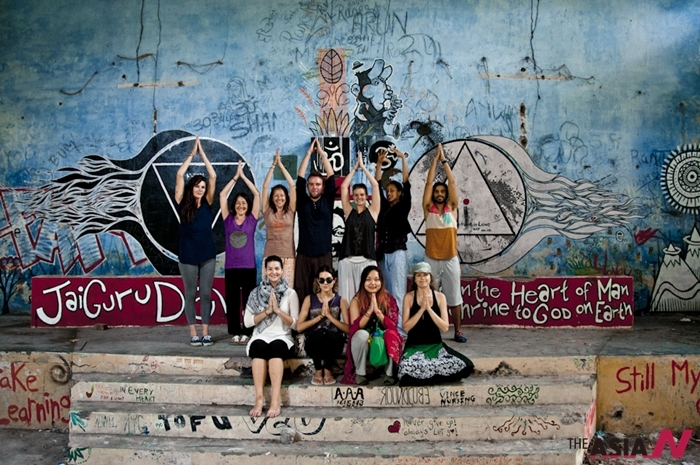 Yogi attracted large number of people from all over the world and taught them transcendental meditation techniques. Famous celebrities like American surrealist filmmaker David Lynch, comedian Andy Kaufman, actor Clint Eastwood, and many more including the Beatles themselves, practiced meditation techniques, which helped them improve their art. The ashram was once a hotspot?for many years, known to travelers and fans as ‘Beatles ashram’, however its neglected condition for the past two decades turned away many of them. Its re-opening on December 8, which coincided with John Lennon’s 35th death anniversary. Situated on the outskirts?of the Rajaji Tiger Reserve in Uttarakhand, it?is the place where the Beatles wrote 48 songs, sitting on the banks of River Ganges, in a period of only seven weeks. Many of those became part of their ‘White Album’. In 2012, Canadian artist Pan Trinity Das along with a bunch of travellers, painted the walls with pop art and portraits of The Beatles, apart from other spiritual leaders like the Dalai Lama. Even over five decades later, the place still remains a popular tourist spot. For about $2 for locals and $10 for foreigners, the Beatles ashram is the perfect getaway to a nostalgic experience for the rock band’s fans and meditators alike.